The Dr. Budwig diet is a balanced diet for optimum health, consisting of flaxseed or linseed oil and cottage cheese. All food prepared in our kitchen is made with only natural and fresh foods. The Dr. Johanna Budwig food plan allows you to enjoy many of your favorite recipes while at the same time maintaining a balanced and healthy diet. The principal factor to keep in mind is that now you choose quality food products and natural ingredients. There are many websites that talk about Dr. Budwig and her food recommendations, however, not all of them are accurate. Because Dr. Budwig herself was a vegetarian, her recipes focus on that type of diet. You can still enjoy delicious foods like whole grain sourdough bread, desserts, smoothies, salads, juices and so on. 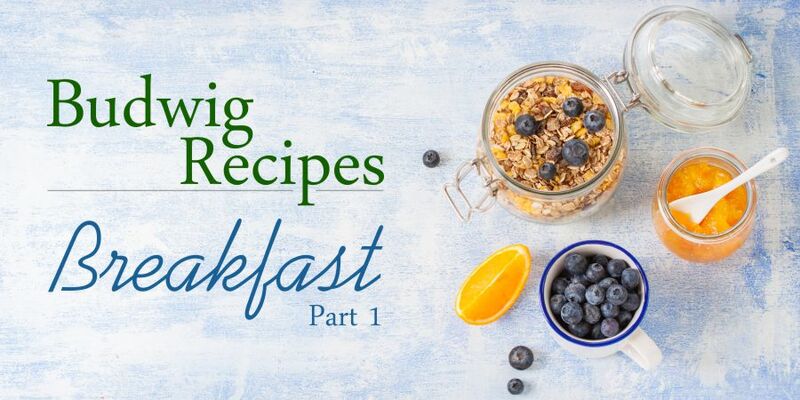 When preparing recipes, instead of using white refined sugar, refined oils, white flour and other products not recommended for your daily diet, thanks to the Budwig food plan, these will be replaced with healthy products such as Stevia sweetener, xylitol from birch trees, cold pressed oils, spelt flour, and unrefined Celtic sea salt. 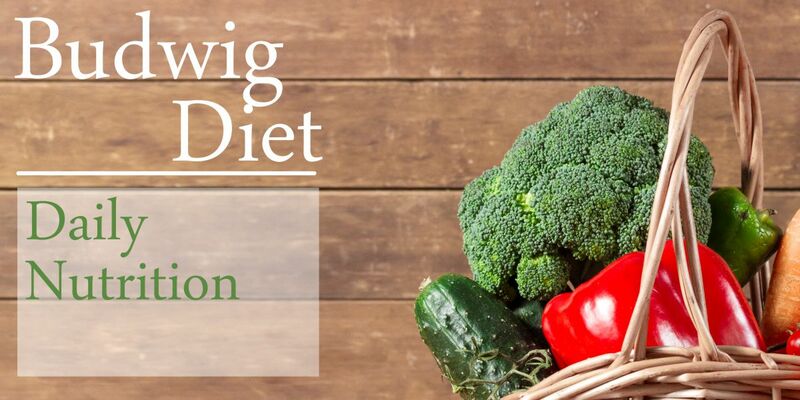 For all our patients we provide the complete Budwig Guide which includes details of the foods to avoid and foods recommended to follow her plan. When using fresh fruits and vegetables, we recommend you use organic produce whenever possible so that you can enjoy the full benefits of all the nutrients and vitamins. It is also important not to fry and cook the vegetable too much. Steaming is the ideal way to get most of their nutritional benefits. Toxins are one of the main factors that contribute to various diseases, so controlling them is essential. A regular intake of fruits and vegetables helps you to actively detoxify your body, which is a fundamental part of our diet plan. At the Budwig Center we have a dedicated kitchen area to prepare dishes for our patients so that you can see how delicious it is to follow the Budwig food plan. We use only natural and organic ingredients. We teach our patients healthy and balanced recipes so that upon returning home they can make sure their food plan provides them with the necessary vitamins, minerals and proteins needed for a healthy body. The kitchen is separate from the clinic in an area that has been decorated with a touch of home. It is not open to the public like a restaurant, but rather a closed space for patients and their companions to enjoy a meal in a relaxed environment. There is room for 16 people to eat at a time. Below are delicious, healthy recipes for anyone trying to follow Dr. Joahnna Budwig’s suggestions in their food plan. More recipes are available when you sign up for a program. “Ketogenic Diet” Or “Budwig Diet”? For instant alerts for our latest recipes, newest information, and helpful tips and guides, be sure to subscribe to our free newsletter today. Simply put your information in below, and we will reach out to you.